With an architectural design on soft, 100% cotton, the Artek Siena White/Red Oven Mitt will look look lovely on display and work wonders in use. It is thick enough to protect your hand from heat, but flexible enough to easily grip hot pots and pans. Named after his favorite city in Italy, Alvar Aalto designed the Siena print as part of the bold and beautiful abc Collection. 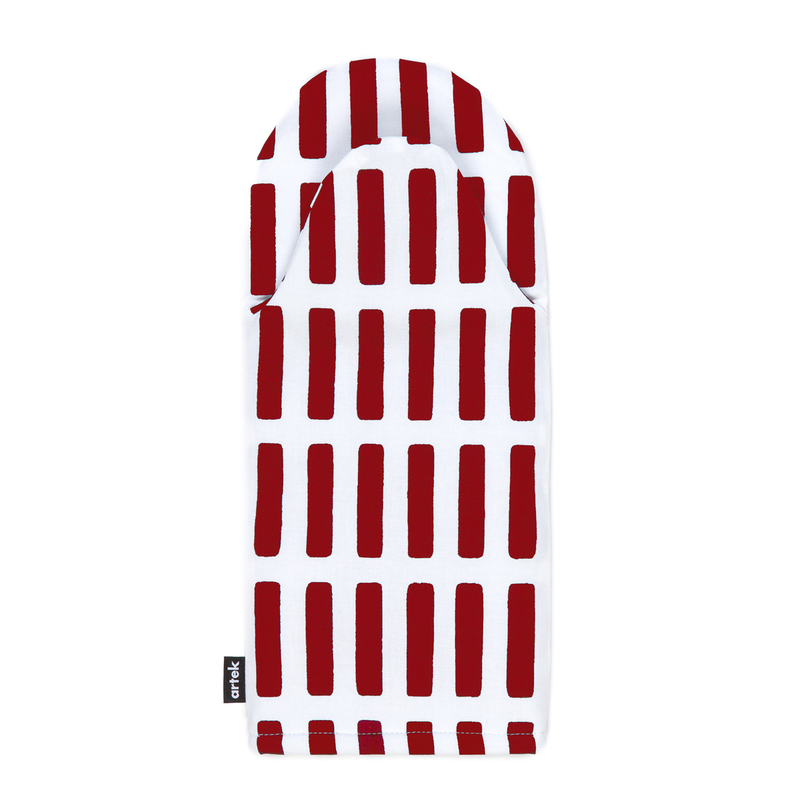 Simple yet strong, the Artek Siena White/Red Oven Mitt is a lovely addition to any kitchen. Material: 100% Cotton. Filling is 100% Polyester.